In the months since Joy-Anna Duggar announced her pregnancy, speculation that she got pregnant out of wedlock has continued to grow. From photos featuring a larger than expected baby bump to refusing to reveal the gender of her baby, evidence supporting the theory continues to mount. Now, the couple has added more fuel to the fire because they are refusing to share Duggar’s due date. Are the newlyweds keeping this information a secret because they have something to hide? The Hollywood Gossip is reporting that a source close to the couple has confirmed they want to keep their due date private. Unlike her mom, sisters, and sisters-in-law, Duggar has kept information about her pregnancy relatively under wraps. Instead of posting regular updates with growing tummy pics and dated sonogram photos, the 20-year-old has opted to share just a handful of selfies. Per Cafe Mom, before now, no one in the Duggar family has attempted to keep their baby’s gender or due date a secret. Plus, several tabloids have spoken with doctors about the reality star’s pregnancy, with many saying that she looks to be farther along than she claims. So, obviously, the shotgun wedding rumors are now at a fever pitch. 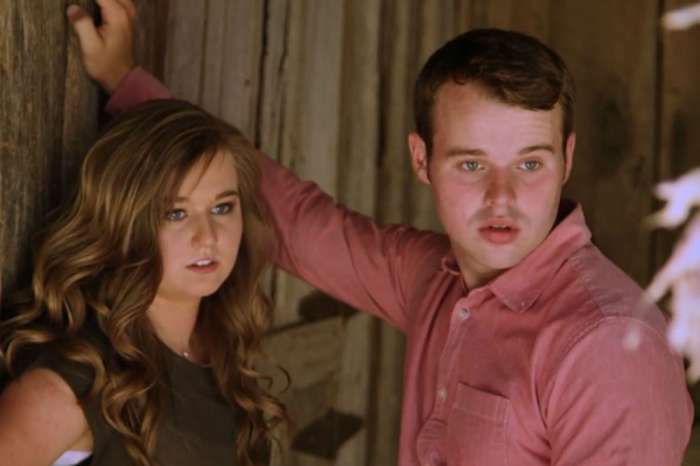 It is impossible to know how truthful the Duggars are when it comes to Joy-Anna’s pregnancy, but if she did get pregnant before marrying Austin Forsyth and fans found out, it would be a blemish on their ultra-conservative, wholesome brand. The family has shared that Joy-Anna got pregnant on her honeymoon, which would make her due at the end of February. But, if she conceived before her wedding, that means she would be due any day now. If she gives birth before late February, fans would see it as a confirmation of the shotgun wedding rumor. According to Romper, it all started when the couple moved their wedding from October to May without explanation. 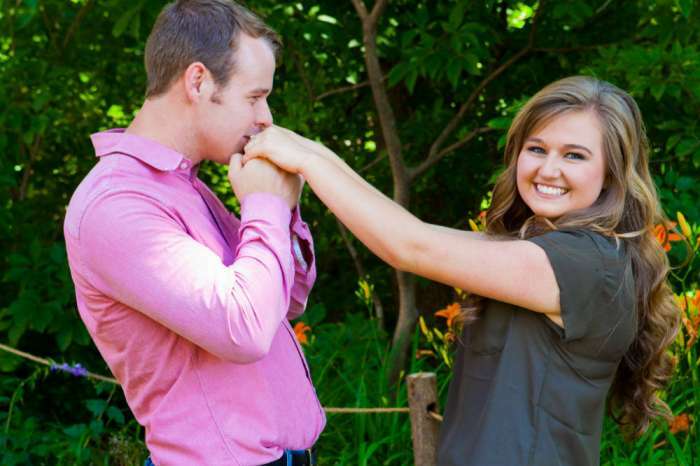 Then, just three months after saying “I do,” Duggar announced her pregnancy on social media. A month later she shared a baby bump pic that appeared to be larger than people expected for a mom who is four months along, and the shotgun wedding rumors began. At that time, she also claimed she had felt the baby kick, but fans thought that was way too early. Per WebMD, a first-time mom doesn’t usually feel the baby move until around 25 weeks, but the picture she posted was 19 weeks after her wedding. Of course, every mom and every pregnancy is different, so it’s impossible to know for sure. Joy-Anna Duggar has not commented on the rumors. Cardi B And Her Team Determined To Find Offset’s Hacker - She Will Pursue Legal Action!